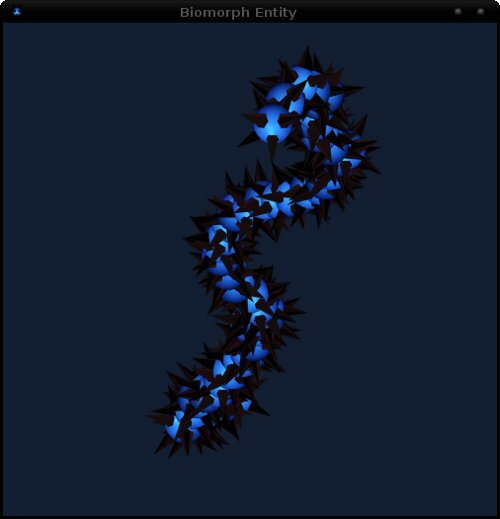 The Biomorph Entity program simulates a virtual creature. 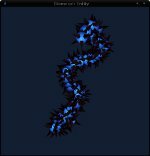 From simple rules programmed in segment interaction, emergent behaviour gives rise to the creation of the artificial life entity. The program was written in Python programming language. In addition to Python >2.5 interpreter, it requires the Python module Pygame 1.8. To execute the source, use the command 'python biomorph.py', with -h for options. Executables are also provided, which does not require Python/modules installation. Microbe is released under the GPL v3 license.